Last April 25, PLDT Home DSL treated families to the movie screening of "Heaven is for Real" at the Newport Cinema. PLDT Home DSL recognizes the need of families for limitless family sized connection at home. With the reliable family-sized connection made available through PLDT Home DSL, a strong connection helps keep the family together, in more ways than one. PLDT HOME DSL focuses on family values and connection through limitless sharing that spells the difference. Diego and entire the Ledesma family was featured in PLDT HOME DSL TV commercial and it is fast becoming another iconic presentation from PLDT HOME DSL. The Ledesma family's claim to fame began with seven-year-old Diego and his “Ask Diego” advice column on Facebook, which won over thousands of fans. 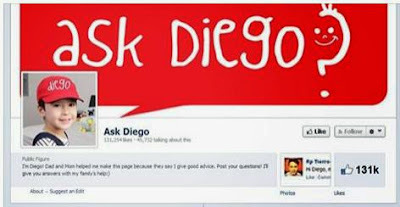 Diego and his family answers questions on his Ask Diego Facebook Page, with the help of PLDT Home DSL and its Family-sized connection. Paolo and Lara Ledesma delete offensive content, and answer the more difficult questions themselves. On certain occasions, Diego also gets ideas for answers from his Ate Trisha. This is a family drama wherein a small-town father must find the courage and conviction to share his son's extraordinary, life-changing experience with the world. Emmy® award winning actor Greg Kinnear stars as Todd Burpo and co-star Kelly Reilly plays as Sonja Burpo. The couple's son Colton (Connor Corum) claims to have visited Heaven during his near death experience following a ruptured appendix. Colton recounts the details of his amazing journey in heaven while he lay unconscious on the operating table. He tells of things that happened before his birth and incidences he couldn't possibly know. Colton relayed that he met his other sister, who was miscarried and whom no one had told him about. He also tells about meeting his great grandfather who died 30 years before Colton was born. Colton then shares impossible-to-know details about each. His description of paradise doesn't jive with the one Todd Burpo has been preaching as part-time Protestant minister in in Imperial, Kansas. Todd and his family had been having serious financial difficulties, and this has been seen as motive by people for playing Colton's story for any financial benefit it might bring. The Burpo's are challenged to examine the meaning of Colton's sojourn. 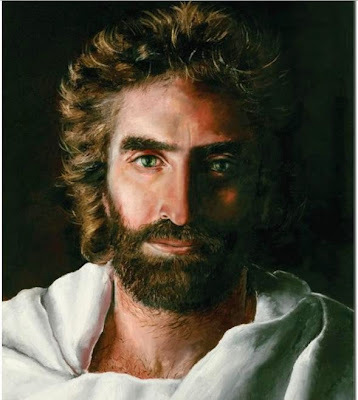 Colton corroborates the Prince of Peace painting by Akiane Kramarik as the likeness of Jesus when 4-year-old old Colton visited heaven. At the end, his parents realize that he truly had been given a special gift of time with Jesus. 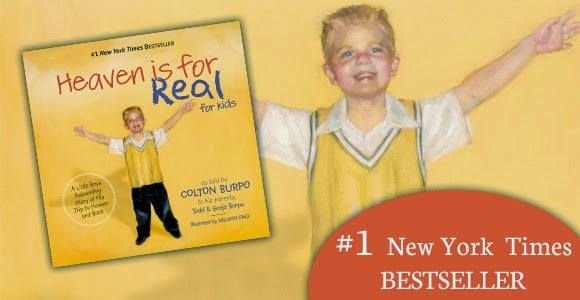 They found solace in knowing that Colton had the same experience as Akiane Kramarik, who stated that God spoke to her when she was three years old, encouraging her to paint and draw her Godly visions. The book "Heaven Is For Real" was written by Todd Burpo. It depicts the true story of the four-year old son of a small town Nebraska pastor who slips from consciousness during an emergency surgery and enters heaven. Akiane Kramarik was born July 9, 1994, in Mount Morris, Illinois to a Lithuanian mother and an American father, who were both atheist at the time. They converted to Christianity on account of Kramarik's paintings and visions. There is a kid;s version of "Heaven is for Real". I'm sure your children will love reading it. Go watch the movie as well. Nacurious ko sa story. I will find a copy so I can watch it. It was really an inspiring story, noh? Our family enjoyed watching it very much. From the reviews I have read so far, this movie is worth watching. The more reviews I read the more anxious I am to watch this. I'm excited to watch this but I think I'll be crying the whole time! We missed this event coz my boys weren't too into the movie hehe. They prefer something more action-packed. Sayang, looks like it was a nice one. I want to watch this soon. I have read the book na years back. Sayang I wasn't able to join the block screening from PLDT. 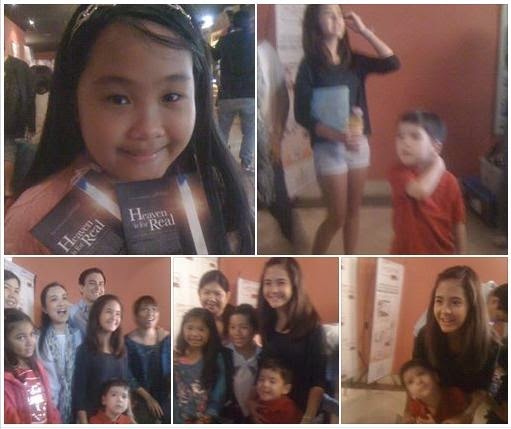 It was a nice movie pa naman.